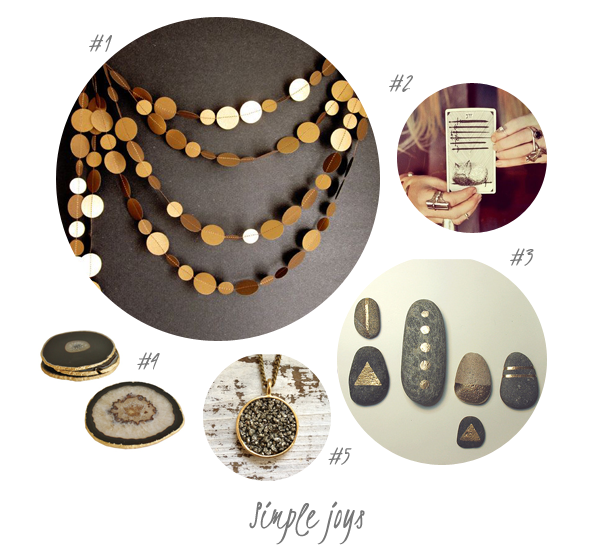 I'd like to deck the halls with glittering garland (1), indulge in a little spiritual guidance from my higher self (2), decorate sticks and stones with glitter and gold (3), take some time to enjoy a glass of wine kept at the ready on these guilded coasters (4) and glam it up with this druzy necklace (5). What a glamourous and mystical setting for this holiday season. Just a few simple joys filling me with warmth and inspiration on this Wednesday morning. I hope you are having a lovely week!